Intelligent Communication Systems India Limited (ICSIL) invites applications for the recruitment of Psychiatrist, MO, Staff Nurse, ANM & Other vacancies on contractual basis (Outsourced). Those Candidates who are interested in the vacancy details & completed all eligibility criteria can read the Notification & Apply. Psychiatrist: Applicants who have completed MBBS qualification included in the First or Second Schedule or Part II of the Third Schedule and Post-Graduate Degree/Diploma in Psychiatry and 3 years experience in psychiatry after obtaining the first Post-Graduate degree OR 5 years experience after obtaining the PG Diploma or equivalent from a recognized Institute for ICSIL Recruitment 2018. Medical Officer/ GDMO: Applicants who have completed MBBS qualification included in the First or Second Schedule or Part II of the 3rd Schedule or equivalent from a recognized Institute for ICSIL Recruitment 2018. Staff Nurse: Applicants who have completed Matriculation or equivalent from recognized University/ Board. A grade certificate in Nursing from a recognized institution. Should be able to speak in Hindi fluently or equivalent from a recognized Institute for ICSIL Recruitment 2018. ANM: Applicants who have completed Registered Auxiliary Nurse-Midwife or equivalent from a recognized Institute for ICSIL Recruitment 2018. Welfare Officer: Applicants who have completed a Masters Degree in Social Work OR Master’s of Art (Sociology) OR Post Graduate Degree in Criminology from a recognized University/ Institute or equivalent from a recognized Institute for ICSIL Recruitment 2018. Special Educator (Mentally retarded Children): Applicants who have completed Graduate with B.Ed. (Special Education – Mentally retarded Children) OR B.Ed. with two (02) years Diploma in Special Education OR Post Graduate Professional Diploma in Special Education or equivalent from a recognized Institute for ICSIL Recruitment 2018. Nursing Orderlies: Applicants who have completed 8th Pass and Preference will be given to experienced candidates or equivalent from a recognized Institute for ICSIL Recruitment 2018. House Aunties/ Male Care Givers: Applicants who have completed8th Pass and Preference may be given to those persons who have prior experience in Hospital/ Similar Institutions or equivalent from a recognized Institute for ICSIL Recruitment 2018. 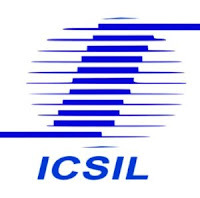 Eligible Applicants advised to Download and read ICSIL Job notification to get aware of recruitment schedule and venue from the official website.